Way back in the 1980’s, a new form of metal started to germinate. Full of filth and hatred, thrash metal began to take on an even more raw, feral sound, and spew forth even more gallons of venomous evil. Thrash metal has continued in its own right and we all know how far black metal have come from those early days. That early swampy melding, where the two styles were still one, was often a form of raw, malevolent brilliance. We now have a name for that style – Blackthrash – and though many attempt to perform it, few do it well. Blackthrash requires a visceral fire that most bands attempting the genre fail to gain. Most of these pretenders just sound like a muddy mess with little to recommend them to your ever busy ears. Once in awhile, a dark gem appears, a foul, black diamond in the rough, if you well. Let me introduce you to a recent revelation of mine that is just such a gem. Hailing from El Salvador, Witchgöat are pitch perfect in there composition and playing. You’ll have to take my word for the full excellence of Egregors of the Black Faith, the sophomore release by this young quartet. However, I can provide a small sampling for you. 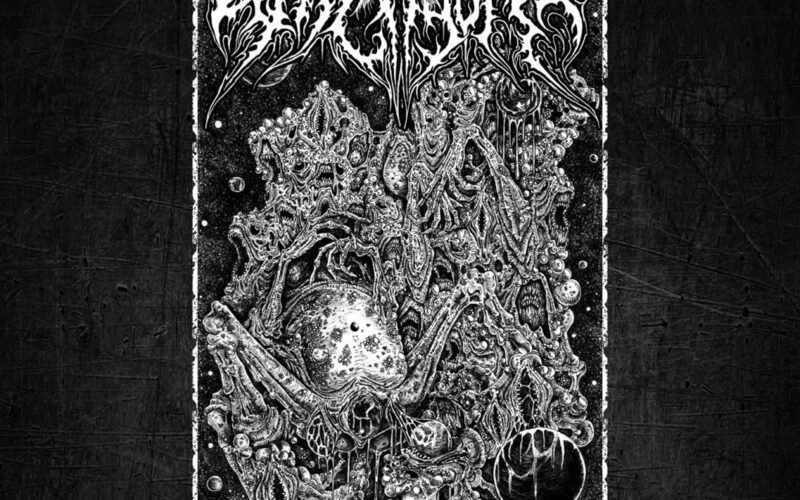 Allow me to present Beyond the Soil of the Dead, the final track in this opus of pustular filth. Gnarly riffs abound. The pace is maniacal. The drumming frantic. The bass, a hammer blow to your skull. The vocals, a demon calling for your very soul. Listen close to hear the exceptional talent. You will not be disappointed. The following is a statement from the band. Give it a quick read, then I urge you to click play! Pre-order links are below the stream! This song was the first one composed for Witchgöat. It has a little more technical development, a more varied structure, and is composed of thrashy riffs and some more experimental chords.